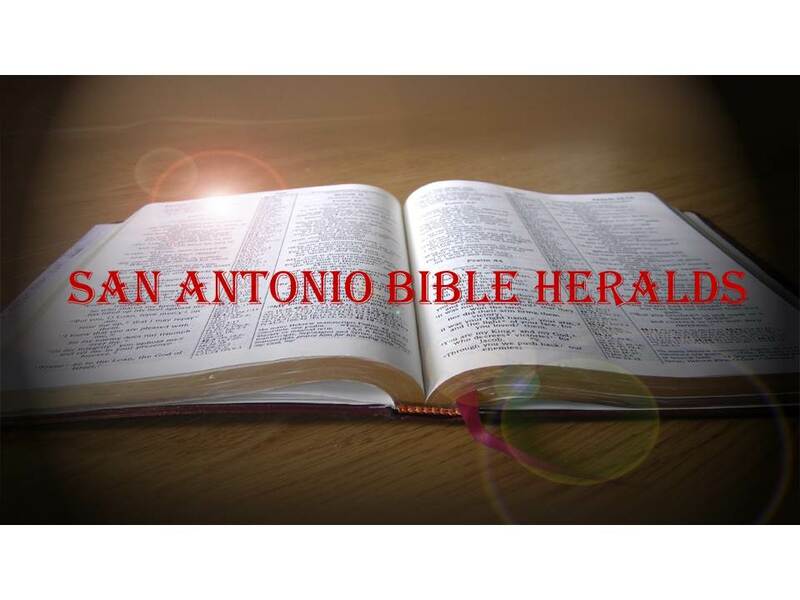 San Antonio Bible Heralds: Faith and Works: They Are Not Opposites! Faith and Works: They Are Not Opposites! One of the ever-present issues that the church of Christ faces is maintaining a balance between what it believes and what it does. All too often, those churches that emphasize knowledge show a weakness in putting that knowledge into practice. The reverse is also often true: many churches are so immersed in what they, as a church, do that their knowledge of the doctrine of Christ and his word suffers. You often hear preachers pleading with their hearers to ensure that they do not neglect the “weightier matters of the law” while at the same time not relegating the others to second banana status. This, it seems to me, is a problem that demands our attention as the body of Christ and against which we must constantly guard ourselves if we are to be an effective organism. First of all, it is imperative to understand that without knowledge of the word of God, nothing else matters. If we are ignorant of just what it is that God wants, what he is working to accomplish in the world and what our role as his servants is, then everything that follows will likely go astray. As I heard a preacher recently put it “if we don’t have the right belief on the right person, nothing else matters.” No amount of good works, charity, compassion and the like will make up for a lack of knowledge about God and his will. Many are the people of the world who do a great many good deeds day after day. That, however, does them little good simply because they do not have the knowledge of God and the fact that it is only through Christ that salvation can be found. You will often read in the New Testament where the writers command their readers to “grow in grace and in the knowledge of our Lord Jesus Christ” (2 Peter 3:18). Paul, in one of the prayers recorded for us in the NT, prays for the Philippians to have “an increase in your knowledge and understanding and that the eyes of your heart may be opened so that you may be found blameless in the day of the Lord Jesus and may abound in fruitfulness to the glory of God” (Philippians 1:9-11). Thus, we are enjoined to pursue knowledge as the first step in the service that we are to provide our God. Do not, however, miss the fact that all that knowledge leads somewhere. Unfortunately, all too often many treat knowledge as the proverbial bridge to nowhere. They have a tremendous amount of intellectual understanding of the Bible, doctrine, dogma and the like, but all that understanding leads to very little action. Knowledge and its pursuit become end in themselves much like being a professional student. As James would put it “these things ought not to be.” As we see in the prayer of Paul, he not only prays that his readers will increase in knowledge and understanding, but he does so in order for them to be something and to do something. Fruitfulness is the ultimate end of our studies. In order for the work we put into our studies to be fruitful, those studies must lead to our action, not only in our own lives, but also in the lives of others. With the emergence of the seeker friendly movement, however, the coin has been flipped and the emphasis on doing things and having programs have become the end all and be all of the church. Members are constantly being pushed to be loving and good, but that comes at the expense of a solid foundation of teaching as to what that love and goodness is supposed to accomplish and from where it should flow. The proverbial cart has been placed before the horse in that, with little knowledge and understanding of God’s word, we go out to conquer the world by attempting to give people what they want. One seeker friendly church pastor put it this way in describing why he doesn’t engage in deep biblical teaching: “most Christians are educated way beyond their level of obedience anyway.” As the saying goes, what you win people with is what you win them to, and if what we’re winning people with is a sense of self-fulfillment and good feelings, then that’s what they’ll expect the church to be. The answer lies, as it always does, in God’s revealed will. The New Testament, when properly studied and when preached by faithful men, contains all we need for a godly and fruitful life (2 Peter 1:3). There are many churches where the word is preached unashamedly and completely. It is unfortunate that the preaching of God’s word has taken a back seat to the feel-good methodology of our current generation. Rather than being the centerpiece of our worship, it has become a second-tier activity that, when practiced at all, is often geared toward making people feel comfortable and increasing their self-esteem. On the contrary, the preaching of the word should make us uncomfortable as we realize that we are not what we ought to be and that only through God’s grace have we received forgiveness of sins. That knowledge will propel us to share the word and live the word as a grateful attitude to the God who saved us from the pit. With that as our motivation, our actions will become what God wants them to be.